Paleontologists conducting research in ancient strata encounter very important fossils that are millions of years old, yet the duplicates of living spiders, flies, frogs, turtles and fish. According to the theory of evolution, these life forms should have exhibited changes over the course of millions of years. They lived in the most ancient periods in the most complex forms, and have come down unchanged to the present day. In other words, they never evolved. 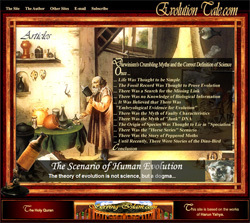 There is a stasis or stability in the fossil record, which—according to evolutionists—should not be there at all. Darwin foresaw that life forms that had remained the same for untold millions of years would represent a major difficulty for his theory, and he frequently referred to this. These special species were even given the name of "living fossils" by Darwin himself! 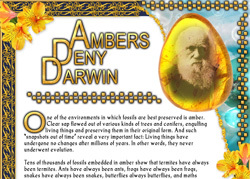 Darwin described the living things in question as "lowly organised forms" and for that reason, attempted to portray the issue as a very minor one by ascribing a supposed justification for their survival. 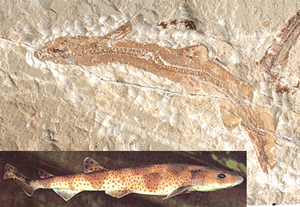 Yet these fossils are identical to present-day specimens. They have exceedingly developed characteristics. And their survival cannot be explained away with the few pretexts that even Darwin had difficulty in believing. 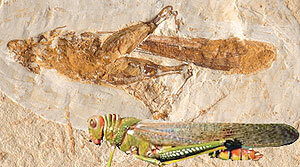 A 49-million-year-old fossil frog discovered in Germany is identical to specimens alive today. For those who came after Darwin, the problem was far less limited than it had been back in Darwin's own day. The number of fossils unearthed from a great many of the Earth's strata was growing into the millions. Their search for intermediate forms ended in the discovery of living fossils: Remains emerged from strata millions of years old in the same forms that their living counterparts possess today, and this represents one of the most significant proofs of the state of collapse facing the theory of evolution. Darwin may have been uneasy at the existence of living fossils in his own day, but he remained unaware of just how wide-ranging they were, and was ignorant of how many such fossilized specimens would emerge in future years. Later years constantly produced specimens of living fossils instead of the intermediate forms that Darwin expected, which dealt a major disappointment to him and his theory. So far, over millions of living fossils have been unearthed from the Earth's strata. While some of these are given prominence in the media, the great majority has been consigned to the vaults of various museums. However, the existence of living fossils is too great to be covered up by hiding them away because every fossil-bearing stratum investigated constantly produces new specimens of living fossils. Those who follow developments in the press may imagine that there are only a very few living fossils, and are unearthed only rarely. Yet that is not at all the case. These fossils—earlier representatives of present-day life forms, but millions of years old—are found everywhere. This stasis in the fossil record, for which Darwin was unable to account, couldn't be explained by those who came after Darwin, either. 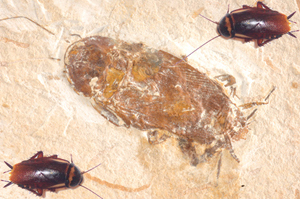 Initially, evolutionists maintained that (for example) 350-million-year-old cockroaches had remained unchanged because "They were able to live in all environments and feed in all kinds of ways." 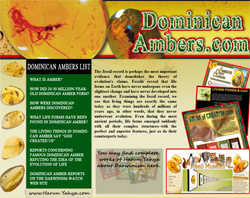 Evolutionists almost never discussed the question of how a 350-million-year-old insect first emerged complete, with all its complex features in a period that was, according to the evolutionists themselves, exceedingly primitive. They deliberately ignored the fact that no matter how well it had adapted to its environment, this insect should nevertheless, according to the claim of the theory of evolution, have gradually developed. Then other similar claims were subsequently made for other life forms. Although a tuatara lizard 200 million years old had come down unchanged to the present day, they still maintained that all living things underwent gradual evolution. Yet for some reason, this claim did not apply to rapidly-multiplying cockroaches and to archaebacteria—which can multiply even in minutes, but of which fossils have been found dating back 3.5 billion years! That is why evolutionists attach prominent importance to only some living fossils. Making up unscientific, illogical and inconsistent justifications for a few examples is nothing out of the ordinary for evolutionists. If all living fossils were given equal prominence, it would be neither possible nor credible to make up a justification for the existence of every single one. Confronted by this fossil, which lived 95 million years ago and is identical to present-day sharks, Darwinists have no alternative but to admit that their theories are merely the product of fantasy. 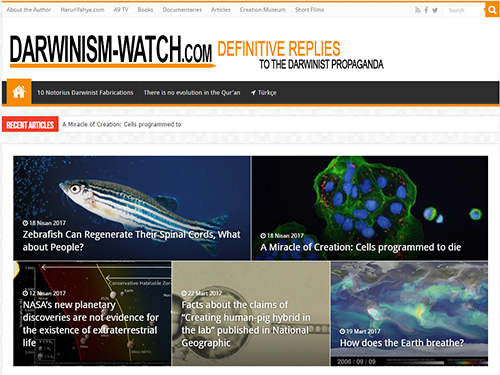 To put it another way, Darwinists are ready to ascribe the existence of living fossils to any cause apart from the fact of Creation. If all their explanations fail to hold water, they will then regard a particular organism as a "superspecies," as is clearly stated by New Scientist. The only thing that may not be done, in Darwinist eyes, is to admit that the life form in question was originally "created." A 125-million-year old fossil cockroach represents a heavy blow to the theory of evolution, which claims that living things are in a constant state of development. These animals have remained unchanged over the ensuing millions of years. 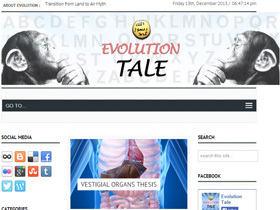 These inconsistent claims—which Darwin hid behind and that present-day Darwinists generally avoid mentioning—have been totally demolished in the face of the extraordinarily large numbers of fossils exhibiting stasis. There are more "living fossils" than evolutionists can dream up scenarios for, and they clearly indicate that evolution never took place. 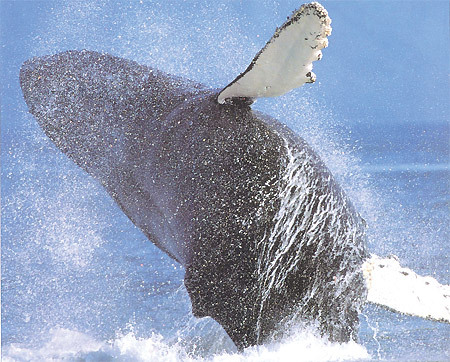 According to evolutionary theory, an animal resembling a modern-day wolf entered the sea one day, and within 50 million years, its descendants turned into a gigantic marine mammal as the whale.9If, despite its evident illogicality, evolution is able to turn a land mammal into a whale in such a relatively brief space of geologic time, how could the salamander remain unchanged for 160 million years? 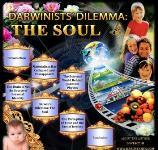 No evolutionist has any scientific answer to that question. Excavations carried out all over the world for the last 150 years have produced not a single fossil to support evolution. 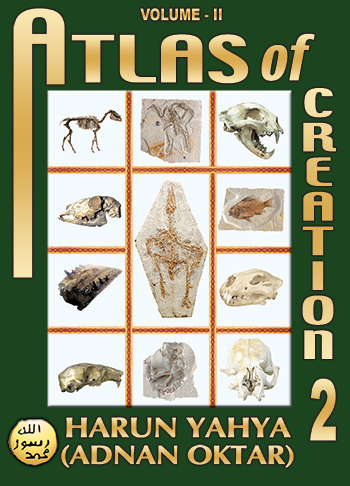 All the fossils unearthed confirm the fact of Creation. 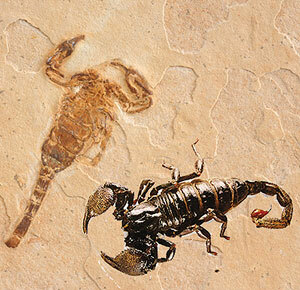 110-million-year-old scorpion and 108- to 92-million-year-old grasshopper fossils show that these creatures have maintained the exact same structures and characteristics for tens of millions of years and that they have never changed. 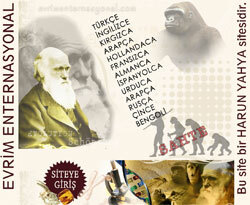 In other words, they have never undergone evolution. No doubt, the emergence of these life forms in large numbers comes as no surprise to any rational individual. If people can see that God has created all living things, then they can also understand the proofs that manifest themselves in the fossil record. Throughout the history of life, organisms did not evolve, but emerged suddenly and with the most complex and most perfect features. 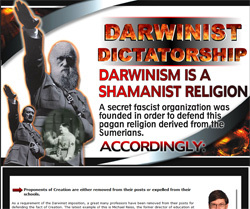 All this goes to show that evolutionist claims along the lines of "evidence in the fossil record," "the evolutionary process," and "gradual or punctuated change in living things" are all mere speculation. Nobody looking at the facts can believe such Darwinian conjecture—speculative claims that are demolished in a more detailed manner in subsequent chapters. 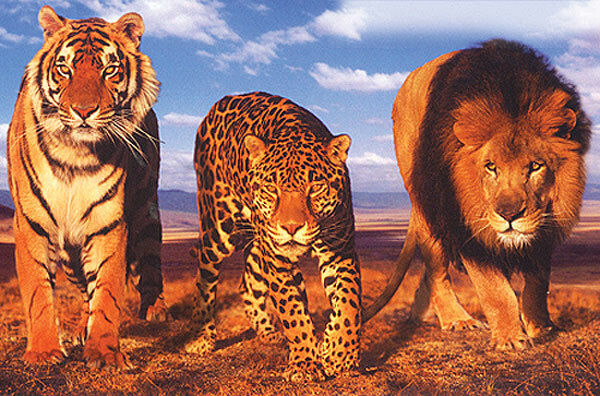 In the same way that the theory of evolution cannot account for the origin of life, it is also helpless in the face of the variety of species. 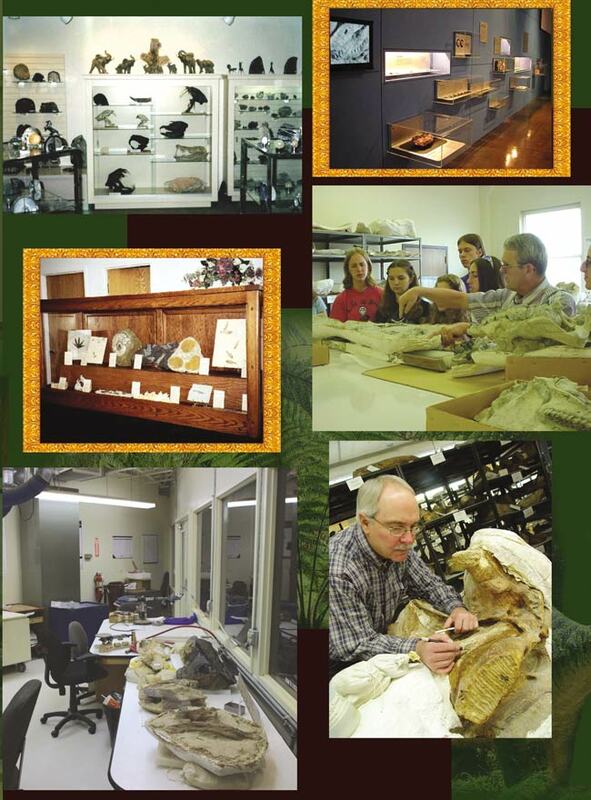 It is essential for governments in countries where living fossil specimens are unearthed to give them prominence and present them to the world as important scientific evidence. Otherwise, a conception that flies in the face of the scientific facts—in other words, the theory of evolution—will continue to enjoy blind support by way of propaganda and deception. 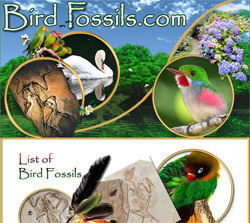 The fossil record documenting the history of life on Earth demonstrates that living things never evolved, but appeared suddenly together with all their complex characteristics. In other words, fossils document the fact of Creation. 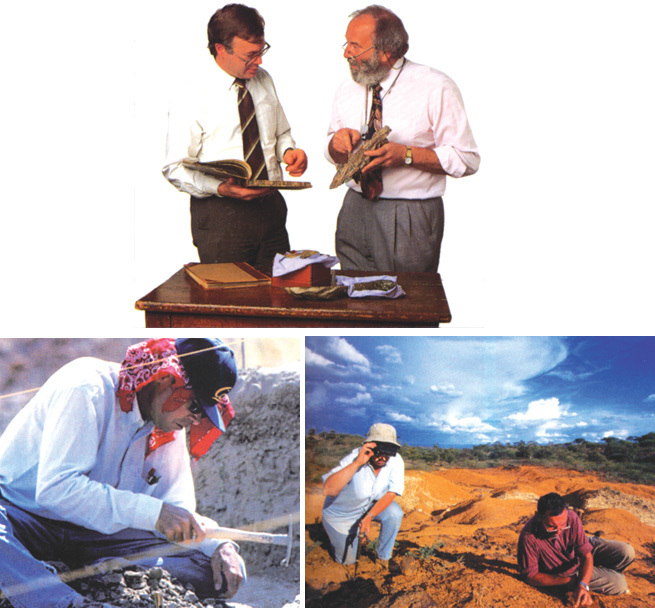 People without a close interest in scientific matters imagine, based on reports in the press, that fossil specimens are encountered in excavations only rarely. Again, the press encourages them to think that the fossils discovered are evidence for the supposed theory of evolution. The truth is very different, however. 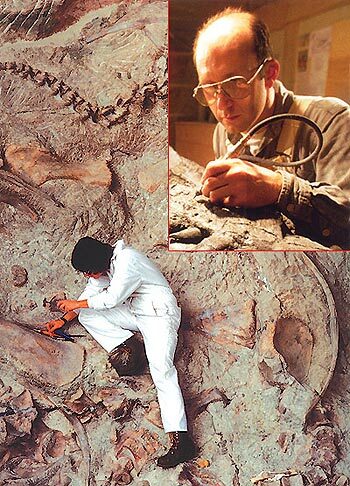 Millions of fossils have been discovered to date, and thousands more are still being unearthed in Britain, Lebanon, Russia, Canada, Madagascar, China, the USA, Brazil, Peru and all over the world. 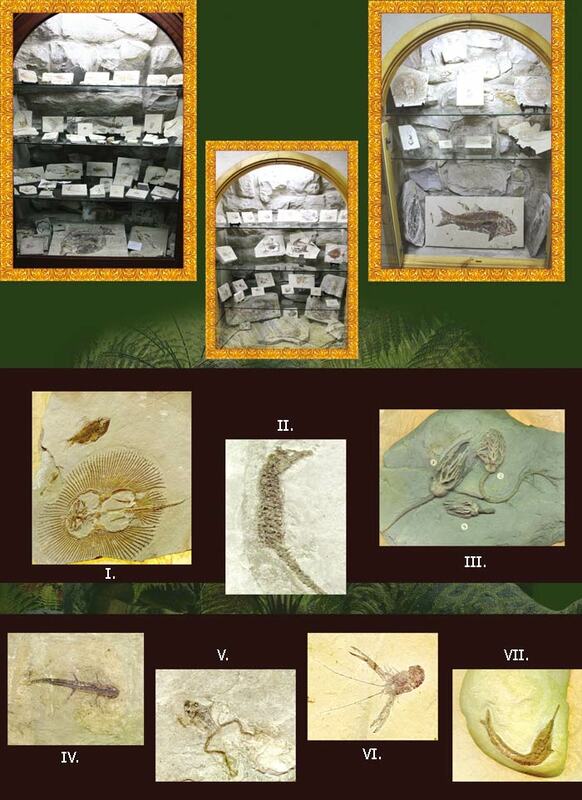 These fossils are preserved in museums in different countries of the world, or in the private collections of scientists and researchers. 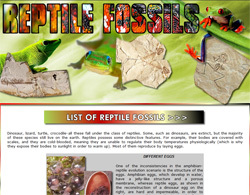 No matter how much evolutionists misrepresent these fossils as they display them before the public or how often they seek to keep the majority of the fossil record away from the public's gaze, it is no longer possible for them to conceal the facts. 1. Life did not emerge in stages. All species—both living and extinct—appeared suddenly in the fossil record. 2. Living organisms have never changed since they first appeared on Earth, and for as long as they existed. In other words, the Darwinist thesis that living species descended from one another by way of small changes is totally invalid. 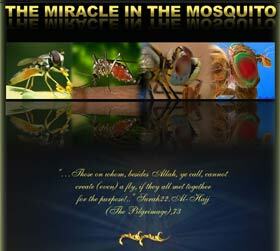 The fact is, God has created all living things out of nothing. 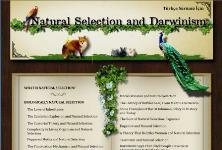 Darwinists are unable to point to a single fossil demonstrating that living things evolved. But meanwhile, the millions of fossils on display in hundreds of museums, concealed in the vaults of a great many museums, conserved in many universities' palaeontology departments or kept in the collections of scientists and researchers all tell us that living things were created. 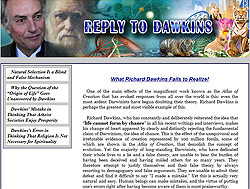 Faced with the increasing numbers of these unchanged fossils, evolutionists have no other alternative but to accept that they do not support evolution.